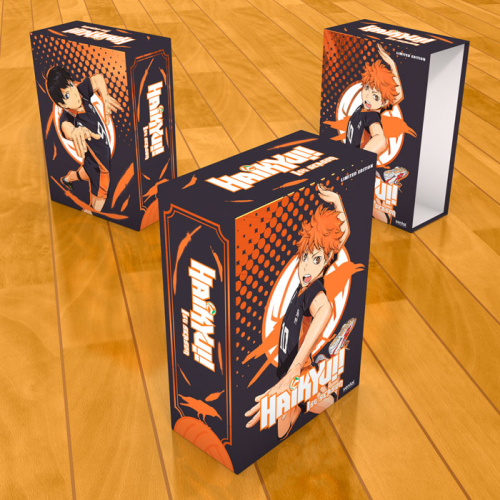 We FINALLY get to show you one of our most anticipated limited editions of the year: the Haikyu!! 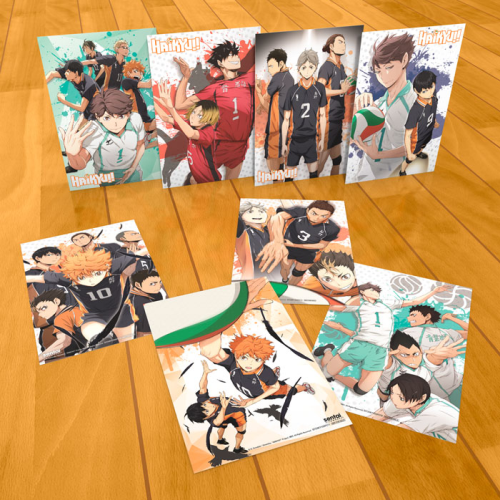 1st Season premium box set! LOOK AT IT! 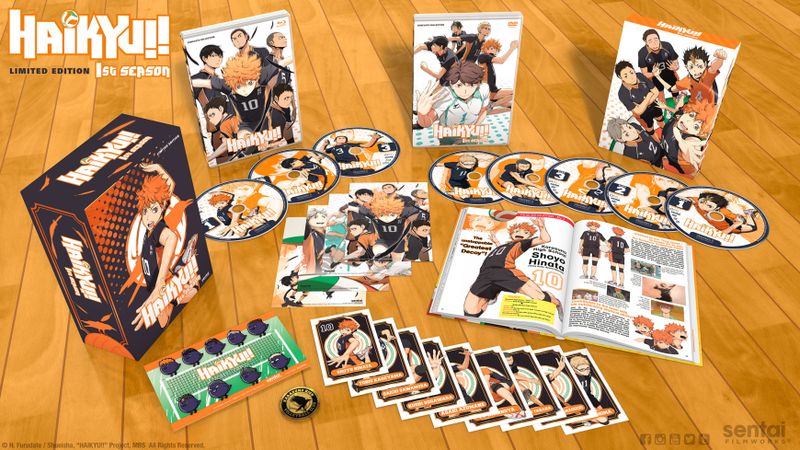 You’ve told us on social media, ask.fm, at conventions, and pretty much everywhere that you, the fans, wanted an English dub for Haikyu!!. We decided to take it one step further and serve up an awesome premium box set for it. Ready to see what’s inside? You can see the striking design of this premium box set from even the nosebleed seats! The precious content inside is protected by a study chipboard box. Get the English dub for all 25 episodes of the 1st season in one place. 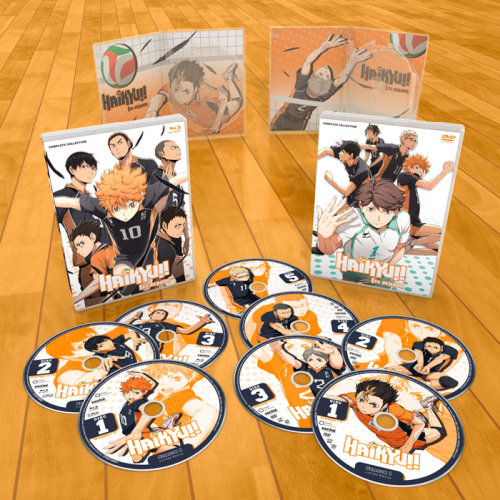 Each disc features the beloved members of the Karasuno volleyball team! This special addition to the box set is translated from the nine original Japanese booklets, and it’s filled with character descriptions, interviews with the Japanese voice actors, and episode information. A must-have for die-hard fans. 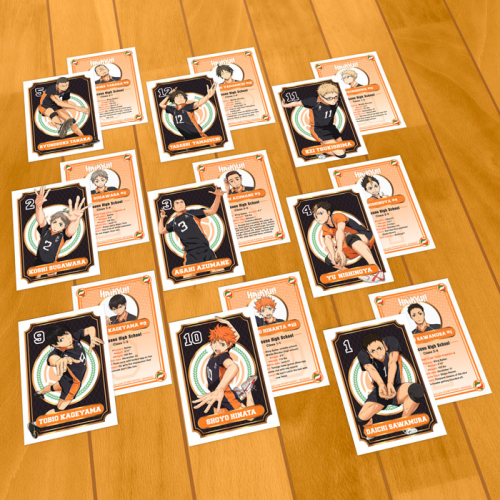 Allies and rivals clash in these double-sided art cards! 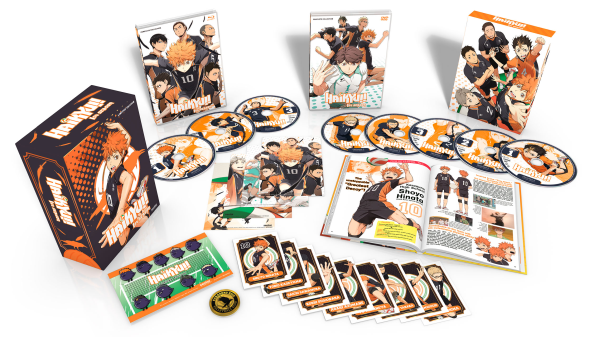 Get the stats on the Karasuno boys with these box-set exclusive trading card set. Who’s YOUR favorite character? 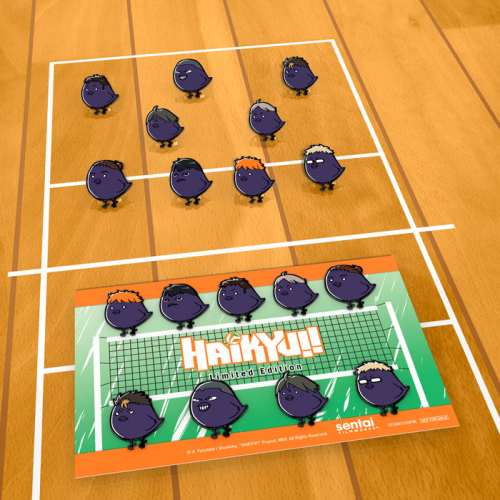 These flightless crows take off in their adorable chibi-bird versions! Get the full pin set only in this limited edition set. 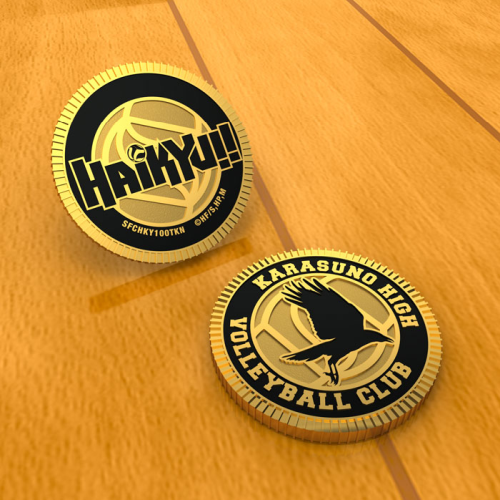 This collectible iron token can only be found in the Haikyu!! 1st Season box set, proving your ownership of one of our most exciting home video releases this year. 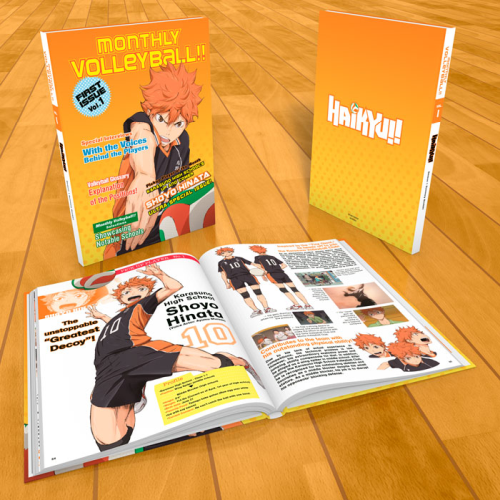 It’s the easiest move of the year: pre-order your Haikyu!! 1st Season premium box set. Limited quantities available, so make your move!